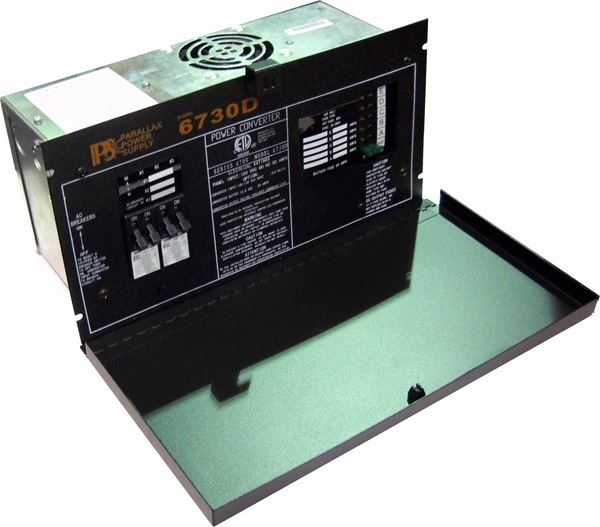 Parallax 6730, 30 Amp power center replaces obsolete 6400 and 6600 series and fits in the same cut-out. Also replaces Elixir 12, 20, and 30 Amp units. 30 Amp main and branch circuit breakers included.